Micronesia, a group of over 600 Islands in the North Pacific Ocean between Hawaii and Indonesia has a total land area of 271 square miles and a population of over 107,000. Subsistence farming, fishing and high-grade phosphate are the contributors to its economy. The country, comprising of countless islands, is aiming to snap out of its current economic conditions by riding on the financial assistance by US. Its geographical isolation and almost non-existent infrastructure are the major hurdles to its tourism growth. The six thousand and odd ‘stone money’ scattered over the island of Yap gives it a quaint historical appeal. The country beckons with crystal clear ocean water, beautiful beaches, tropical greenery, and culturally rich villages. The most developed island Saipan whips up an entire package – beach activities, golf, shopping, nightclubs and world-class seafood restaurants. The major activities are snorkeling, kayaking, diving and swimming. American and Asian cooking heavily influences the country’s cuisine. Micronesia and Palau – Other Places Travel Guide 978-0982261934 $18 Good maps, excellent pictures, and great suggestions on what to see and do. Authors spent a cumulative 13 years in the islands as Peace Corps volunteers. The first stamps of Micronesia were a set of four stamps released on July 12, 1984 showing islands of Micronesia. The set (Scott #1 to #4) catalogs for around $2 MNH or Used. It was released to mark the Postal Service Inauguration. The Spanish colonies that formed the islands were bought by Germany in 1899. Following World War I, it was mandated to Japan. After World War II, it became a part of the US Trust Territory of the Pacific in 1947. Micronesia started issuing their own stamps in 1984 although USPS continued to carry mail to and from the islands. It became a sovereign state (Federated States of Micronesia – FSM) in free association with the US on November 3, 1986. Micronesia released a stamp on November 4, 1986 depicting the first Micronesian passport. That stamp (Scott #53) is also inexpensive and catalogs for less than a dollar. A sheet of eighteen stamps released on November 18, 1991 in the Pohnpei Rain Forest theme. The set (Scott #149a-r) catalogs for around $13 MNH and around the same for Used. The designs show Pohnpei Fruit Bat, Purple Capped Fruit-dove, Micronesian Kingfisher, Birdnest Fern, Island Swiftlet, Long-billed White-eye, Brown Noddy, Pohnpei lory, Pohnpei Flycatcher, Caroline Ground-dove, White-tailed Tropicbird, Micronesian Honeyeater, Ixora, Pohnpei Fantail, Gray White-eye, Blue-faced Parrotfish, Cicadabird, and Green Skink. 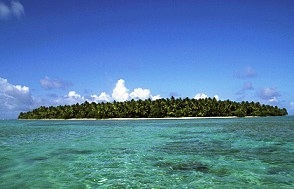 Pohnpei is the largest single island in the FSM and has a wealth of biodiversity. It has four endemic species of birds – Pohnpei Lorikeet, Pohnpei Fantail, Pohnpei Flycatcher, and Long-billed White-eye. Pohnpei is one of the wettest places on earth with certain mountainous locations recoding annual rainfall that exceeds 300 inches. A sheet of nine stamps and souvenir sheets released on October 6, 1997 in the Ocean Exploration theme. The set (Scott #269a-I and Scott #270 to #272) catalogs for around $15 MNH or Used. The designs show a deep sea equipment, a portrait of the corresponding scientist, and the year: Simon Lake, Argonaut, 1897, William Beebe, Bathysphere, 1934, Auguste Piccard, Bathyscaphe, 1954, Harold Edgerton, Deep-sea Camera, 1954, Jacques Piccard, Trieste, 1960, Edwin Link, Main-in-Sea Project, 1962, Melvin Fisher, Search for Treasure, 1971, Robert Ballard, Alvin, 1978, and Sylvia Earle, Deep Rover, 1979. The souvenir sheets show Wyville Thomson, Deep-sea Dredge, Shinkai 6500 exploring bottom of sea, and Jacques-Yves Cousteau. A set of thirteen stamps released on December 30, 2002 in the Birds theme. The set (Scott #525 to #537) catalogs for around $55 MNH or Used. The designs show Greater flame-backed woodpecker, Red-tailed Tropicbird, Hair-crested Drongo, Pale White-eye, White-backed Munia, Yap Monarch, Eclectus Parrot, Sulphur-crested cockatoo, Giant White-eye, Green Magpie, and Dollarbird. Jewelry, silks and handicrafts like baskets and trays are popular as souvenirs. Miscellaneous Collectibles $2 and up Postcards, patches and pins start around $2. Micronesia uses US currency. Certain coins minted privately appear in the numismatic market periodically. They are not very collectible yet.